Made in the USA. 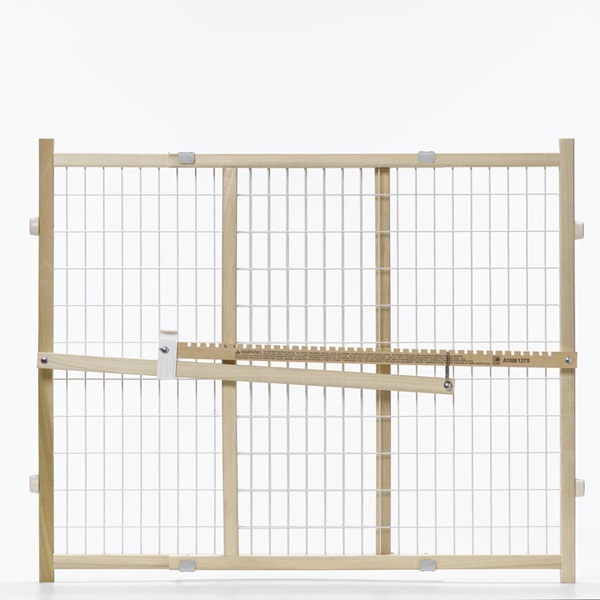 This pressure mounted gate comes fully assembled and ready to use. 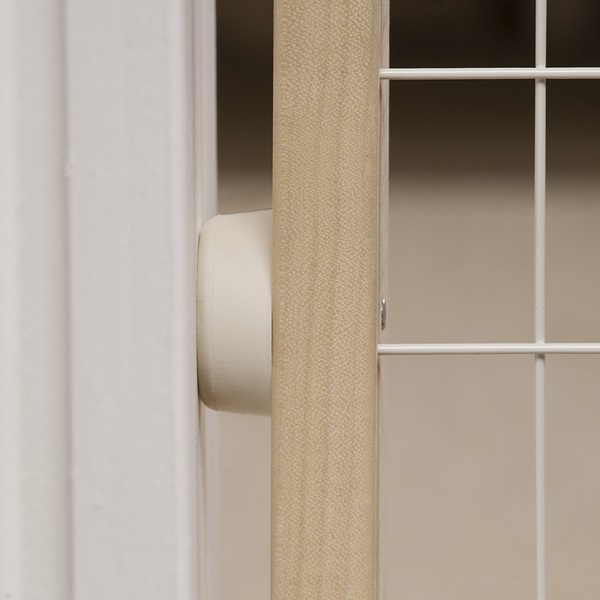 It has an exclusive one hand "Quick Release Finger Latch" which allows you to relieve the pressure and remove the gate for storage with ease. The frame and pressure bar are made of sturdy American Hardwood. 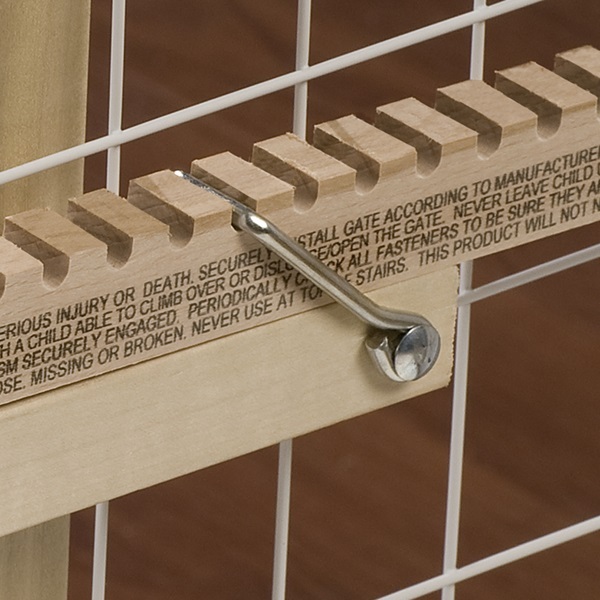 Pressure gates are recommended for families who travel frequently and want the relief of having a portable safety barrier for their children and/or pets without the pain of putting holes in walls. This particular gate was designed exclusively for babies and small children ages 6 to 24 months. 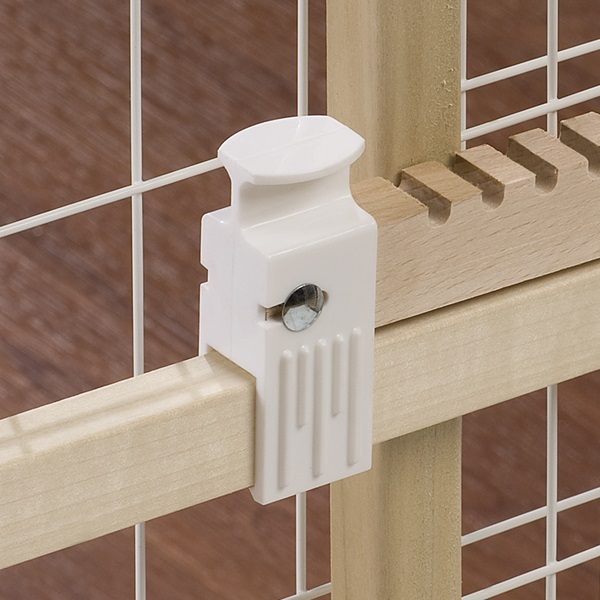 THE WIRE MESH DESIGN IS IDEAL FOR SMALL DOGS! Fits openings: 26"- 41"(W). 24"(H).